NO. 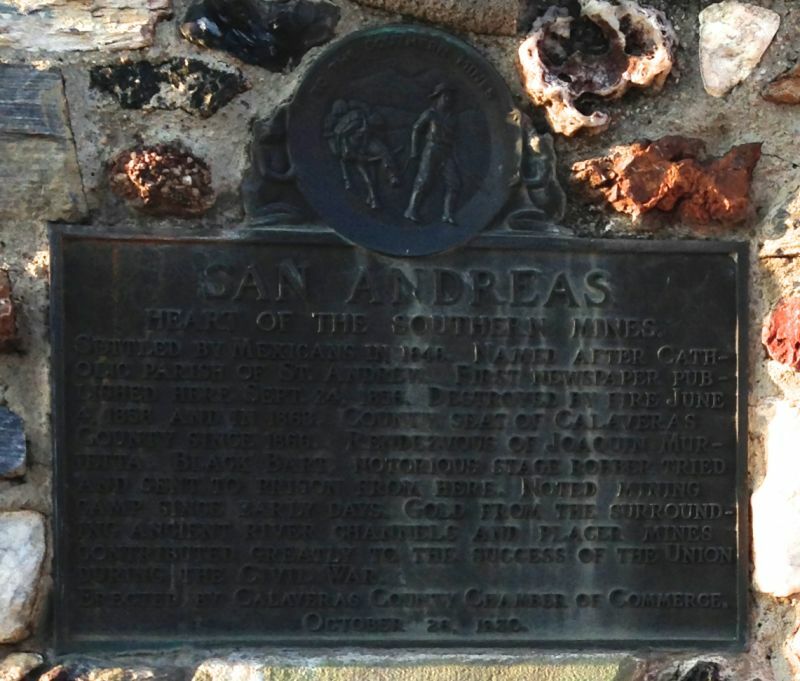 252 SAN ANDREAS - Settled by Mexicans in 1848 and named after the Catholic parish St. Andres, the town has been a noted mining camp since early days. Gold from the surrounding ancient river channels and placer mines contributed greatly to the success of the Union during the Civil War. The first newspaper was published here on September 24, 1846. Destroyed by fire June 4, 1858, and in 1863, San Andreas became the seat of Calaveras County in 1866. 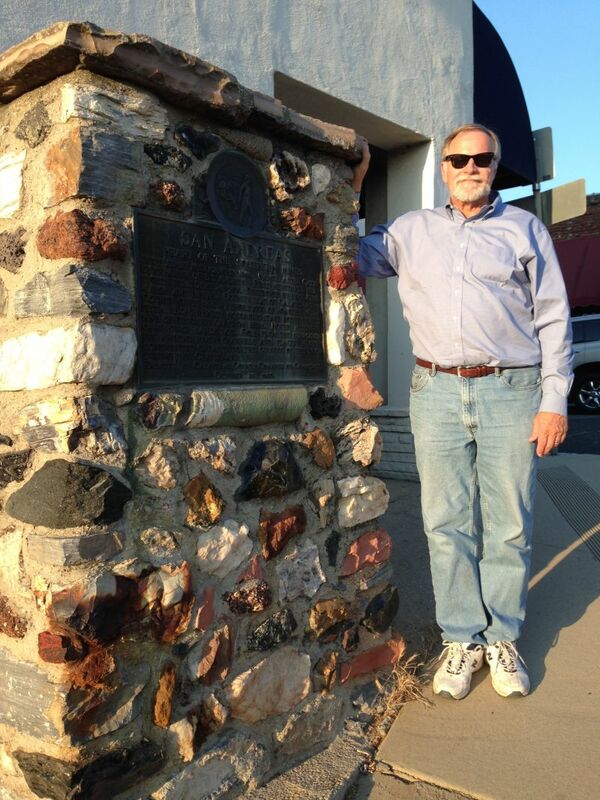 It was said to be a rendezvous for Joaquin Murieta - notorious stage robber Black Bart was tried here and sent to prison.